SDDHA Semi Annual Session is coming up! 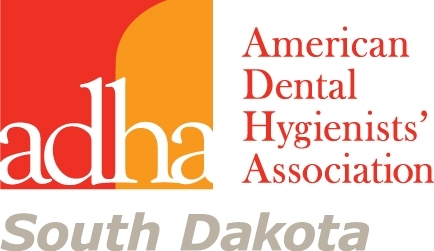 Join us for a great day of learning and networking with other Dental Hygienists! We can't wait to see you there! The wave of treating caries is here! Kyle Isaacs RDHEP, BHS is an expanded practice dental hygienist working in a variety of patient care services settings in her home state of Oregon taking care of residents of nursing homes, memory care facilities, schools, adult foster care homes, and private residences for patients who are not ambulatory. Kyle is an ADHA member, and proudly serves on the board of the Oregon Dental Hygienists Association. Kyle is a Young Clinical Representative and a professional educator for Waterpik. She is a published author in RDH Magazine and has been recognized for her dedication to her profession as a recipient of the 2017 SUNSTAR Award of Distinction rand the 2018 Hu-Friedy/ADHA Master Clinician. Pat Aylward is a graduate of the USD Dental Hygiene Program. She began her career in the field of dentistry as a certified dental assistant before studying dental hygiene at USD. She has been a member of ADHA since she was as a student. Pat had the privilege of working in Saudi Arabia first as a dental assistant and then 10 years later as a dental hygienist. She learned about both of these overseas positions as a member of her professional organizations. Pat has held several local and state offices in SDDHA and has been an ADHA delegate. She considers herself a lifelong learner and is passionate about improving oral health and access to care in our state. She currently works as a clinical and a Collaborative Supervision dental hygienist in Mitchell, SD, and has recently started her own non profit called Toothology, Inc, which provides oral hygiene supplies as well as oral health coaching to the general public. Ame Batchelder earned her degree in Dental Hygiene from the University of South Dakota in 1993. After working in her native Sioux Falls area, she moved to Rapid City in 1998. Ame says, “I enjoy working in an environment where we treat our patients like family; educating them on complete health, answering questions and easing concerns about their treatment and care. My mission is to walk through treatment with every patient from beginning to end. This new aspect of my career will allow me to make a life-changing contribution to the welfare of my patients." Ame enjoys camping, 4-wheeling, boating, snowmobiling, horseback riding and having fun in the Black Hills with her husband and son. She is a member of the International Association of Orofacial Myology and the American Dental Hygienist’s Association, and is a delegate to the Board of Directors for Black Hills Lutheran School.